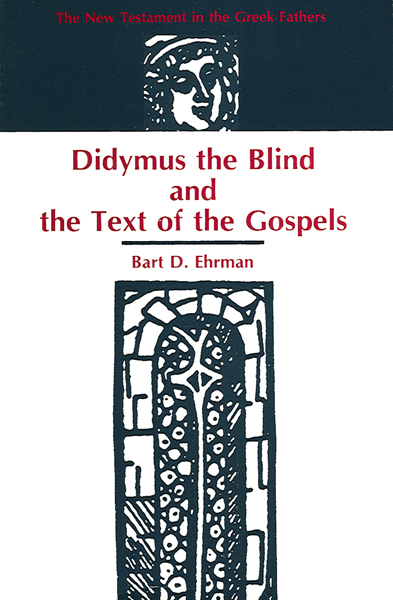 The Gospel quotations and allusions in the writings of the blind monk Didymus of Alexandria are the subject of this inaugural volume in the SBL-sponsored series The New Testament in the Greek Fathers. 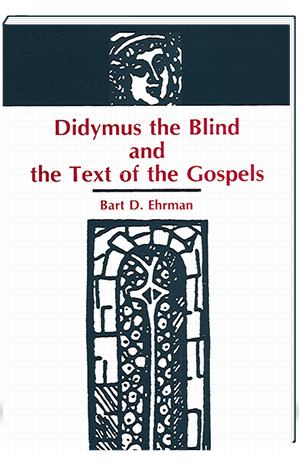 Ehrman’s painstaking analysis of these recently discovered writings demonstrates the status of the N.T. text in the 4th century Alexandria, as well as—more generally—providing evidence for an assessment of the history of textual transmission. In the course of conducting his study, Ehrman offers significant refinements to the methodologies of textual analysis.